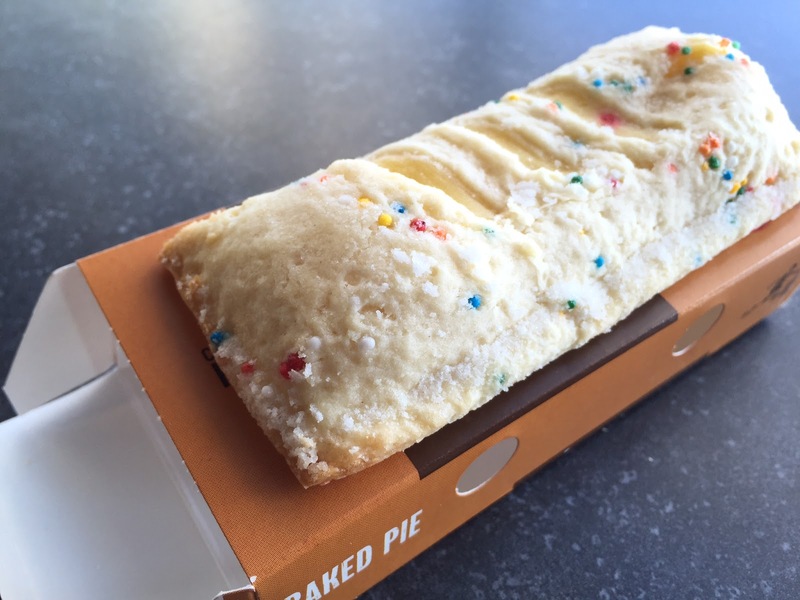 Along with Egg Nog Shake, I got a Holiday Pie at McDonald's. The packaging wasn't festive and an ordinary brown box. 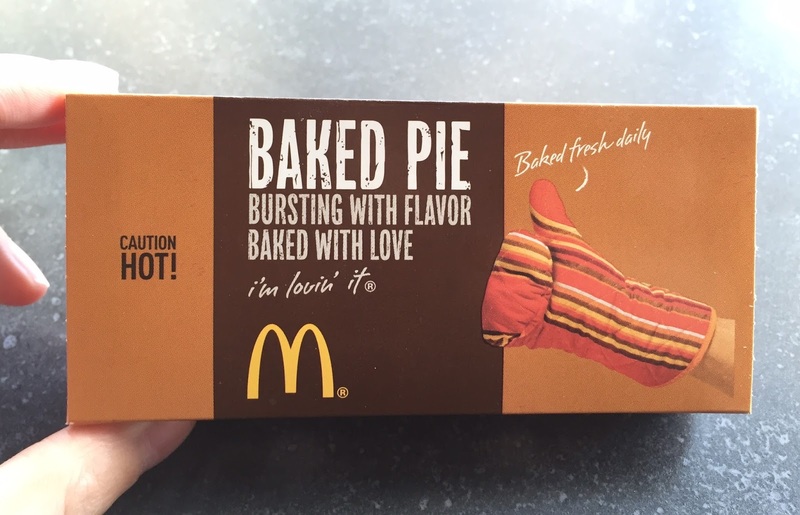 The pie was more like tart, instead of apple pies which are bubbly and crispy. 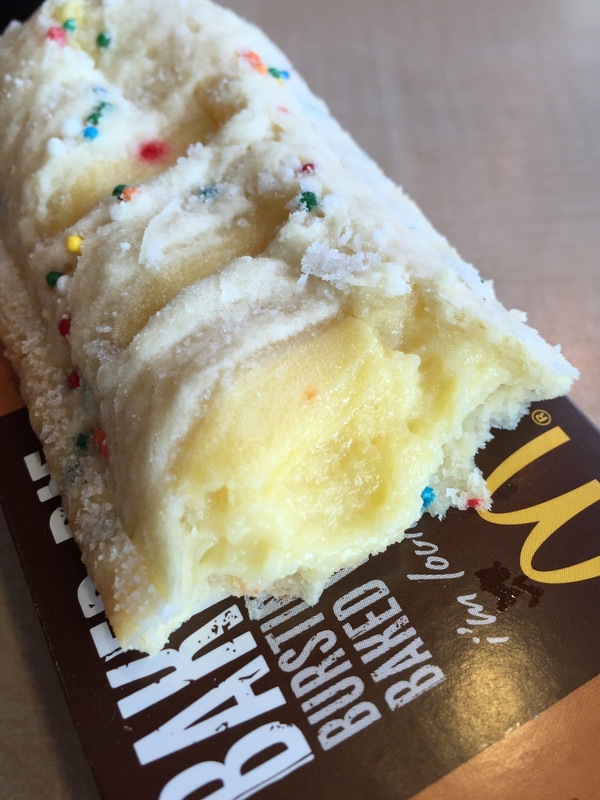 The dough had colorful sprinkles and from the cut in the middle, I could see cream color filling. The edges were pressed and closed, and the dough was light beige and looked almost uncooked. The dough was a mix of flakiness and light chewiness as if it's sugar cookie or not-buttery shortbread cookie. 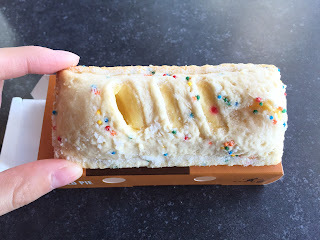 The filling tasted like custard and it's gooey rather than light or runny. I like apple pie's dough more but this pastry was also good, and I think this dough worked only because of the cream-based filling. FIFA World Cup Brazil items I've reviewed. 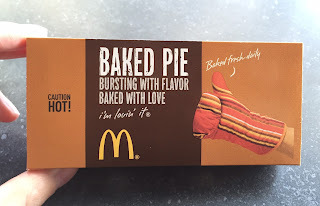 Items I've reviewed from McDonald's Japan is the following. Items from other countries outside of Japan. Sirloin Third Pound Burger "Steakhouse"
Sirloin Third Pound Burger "Bacon & Cheese"
Sirloin Third Pound Burger "Lettuce & Tomato"